“Ghoulish, grisly, gruesome.” These are the strong words used by Cardinal Timothy Dolan to describe the Reproductive Health Act signed on January 22 by Catholic Governor of New York Andrew Cuomo that, with a broad definition of heath, permits abortion through the ninth month of pregnancy. 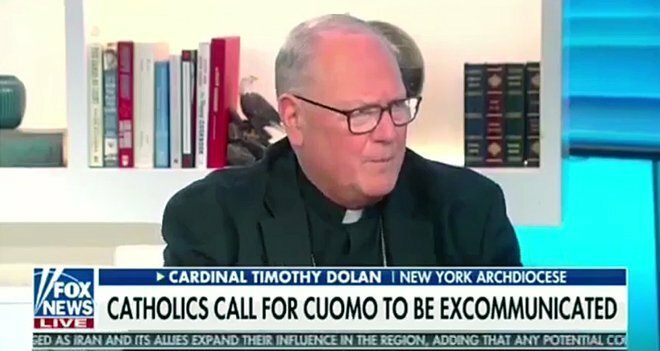 When the cardinal appeared on Fox and Friends on January 28, to his credit he thoroughly castigated Cuomo’s support, promotion, and celebration of this despicable law. Yet when pressed on the subject of excommunicating the governor, Dolan insisted that such a measure was “counter-productive.” Furthermore, he was asked whether he would impose Canon 915 on pro-abortion Catholic politicians who would thereby be prohibited from receiving the Eucharist. Dolan responded by saying he would not publicly sanction Cuomo, or any other Catholic politician who voted for the bill. [To] a mom who has an abortion, we’d say, “Mom, we love you. We might not, uh, particularly condone what you just did. But we love you, and, uh, we’re not about to judge you.” It used to be people who said we should excommunicate the mothers that did that. We don’t do that anymore. You’re welcome back in the Church. If you have a sense of shame and regret about what you’ve done—and I presume you might—uh, come and ask for God’s mercy and it’s yours for the asking. So the blame doesn’t need to go on the mom here… You would say that it used to be pretty clean that an abortion would cause the excommunication not only of the one who did it, [but] people who encourage it, and the one who had it. The Church in the last 50 years—beginning with, uh, Pope John Paul II and especially intensified under Pope Francis—has said, “I don’t know if that’s gospel values, here, because mercy trumps everything.” And even though we would be uncompromising, uh, in our teaching about the horror of abortion, we would also be uncompromising in our teaching about God’s mercy. We should first notice how Dolan characterizes the Church’s response to a woman’s decision to kill her unborn child: “We might not, uh, particularly condone what you just did.” The choice of words is a gross understatement of the seriousness of the killing of an innocent person. 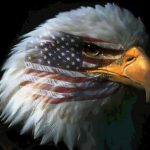 It is not that we “don’t particularly condone” the killing of an unborn child—we believe it is a gravely immoral action. Perhaps what he meant to say—and at least should have said is: “In no way can we ever condone what you just did.” No soft-peddling the sin, and no words of equivocation. We are, after all, talking about the murder of an innocent human being. Dolan goes on to say: “we’re not about to judge you.” It is true that the woman’s personal culpability cannot be judged since many factors can mitigate culpability. Yet to use such language betrays again a certain hesitation to acknowledge that persons are responsible for their actions, including women—and that we are called to recognize those actions and the need for personal repentance. If the Church is “not about to judge you” then why would it ever be necessary to seek absolution? Ever since the 1983 revision of the Code of Canon Law, there is hardly a canonist who does not know that 1398 applies to anyone who directly, in a formal way, kills an unborn child. This includes the abortionist, anyone who directly helps cause the abortion, and the woman who actually has the abortion. However, it is true that important conditions must be satisfied before one can incur latae sententiae (i.e., automatic) excommunication—which means there is no need for a bishop to make a formal pronouncement. Canon 1323 lists the conditions that exempt someone from such a penalty. For instance, the person has not yet completed the sixteenth year of age, the person is ignorant of the law or precept, the person was coerced by grave fear—unless the act is intrinsically evil, the person lacked the use of reason, etc. Cardinal Dolan needed to uphold Canon 1398 and explain why it exists, even if it is true that the penalty likely does not apply to the majority of Catholic women since they have never been informed of the canonical precept. The canon is important not only because the killing of an unborn child is gravely sinful and the occasion of a horrific injustice, but such canons that focus on a specific crime are needed at a time when the cultural context normalizes certain crimes and facilitates their practice. The Church by such a canon signals that contrary to the culture, the Church draws attention to a particular sinful action as a warning, guide, and corrective against a milieu where laws that lead to the killing of others are celebrated. The Church’s canonical discipline, from the earliest centuries, has inflicted penal sanctions on those guilty of abortion. 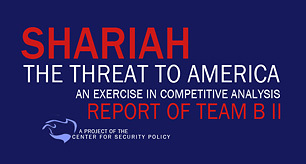 This practice, with more or less severe penalties, has been confirmed in various periods of history. The 1917 Code of Canon Law punished abortion with excommunication. The revised canonical legislation continues this tradition when it decrees that “a person who actually procures an abortion incurs automatic (latae sententiae) excommunication.” The excommunication affects all those who commit this crime with knowledge of the penalty attached, and thus includes those accomplices without whose help the crime would not have been committed. By this reiterated sanction, the Church makes clear that abortion is a most serious and dangerous crime, thereby encouraging those who commit it to seek without delay the path of conversion. In the Church the purpose of the penalty of excommunication is to make an individual fully aware of the gravity of a certain sin and then to foster genuine conversion and repentance. The saint states that “the excommunication affects all those who commit this crime” and in principle that certainly includes the mother of the aborted baby. In the 2016 Jubilee Year of Mercy, Pope Francis decreed that any priest may hear the confession of a woman who had an abortion, and on November 20, 2016, by means of his apostolic letter Misericordia et Misera he extended this provision beyond the jubilee year. Prior to this, priests were required to refer cases to their bishops who could delegate faculties to particular priests to absolve the sin and lift the excommunication. In a November 21, 2016, press conference, Archbishop Rino Fisichella, president of the Pontifical Council for Promoting New Evangelization, affirmed procuring an abortion “still results in automatic excommunication the very moment the procedure is carried out” but that Francis’s provision now means that sacramental absolution not only forgives the sin of abortion, but also means “the excommunication is removed.” Moreover, he explained that the lifting of excommunication is available not only to women who have procured an abortion, but also to doctors who performed the abortion and to anyone else who was directly involved. Here is where Dolan may find support for the primacy of “mercy” (though the Church has always considered excommunication an exercise of mercy). Yet it appears the cardinal’s eagerness to put forward the forgiving face of the Church leads to a dismissal of Church law and practice. There is a trend, even in the Vatican, to erect a false dichotomy between Church doctrine and laws, which are viewed as rigid legalism, and the mercy of God. This dichotomy leads to convoluted statements such as: “the blame doesn’t need to go on the mom here.” Such rhetoric actually trivializes the anguish women feel after an abortion as they come to recognize the gravity of their decision. And it is precisely this honest coming to terms with guilt which causes them to seek the healing words of a priest who absolves them and frees them of such blame! After 46 years of legalized abortion no one should be ignorant of Canon 1398 or of God’s mercy, which, in flooding the souls of sinners, brings us back to the light of God’s truth.